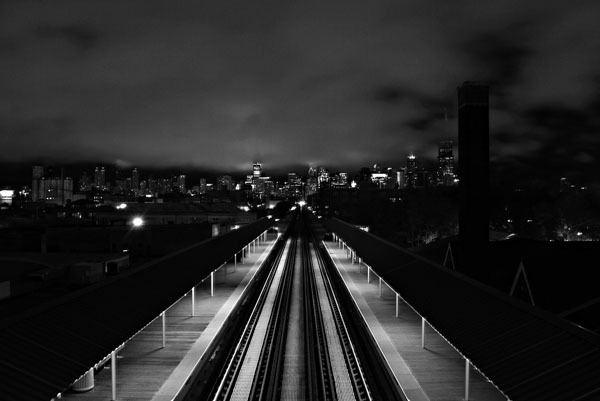 Very nice night-time photo from an overpass over the El in Chicago by Anelly. The photo was taken with a Nikon D3000 with a shutter speed of 2.5 seconds, f/8.0 aperture, 18mm focal length and a 100 ISO. No flash was used. Great shot. It reminds me of Woody Allen’s opening scene in Manhattan. I know it’s not Chicago, but there is something about the night in the city in black and white.